In stock -This product will ship today if ordered within the next 2 hours and 50 minutes. 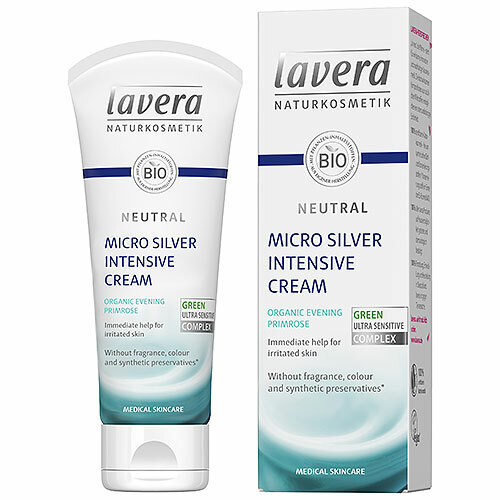 This Neutral Intensive Cream is specially formulated with Silver micro particles to heal and protect the skin while alleviating and soothing inflammation and irritation. Water (Aqua), Olea Europaea (Olive) Fruit Oil*, Glycerin, Alcohol* denat., Butyrospermum Parkii (Shea) Butter*, Myristyl Alcohol, Cetyl Alcohol, Glyceryl Stearate Citrate, Caprylic/Capric Triglyceride, Glycine Soja (Soybean) Oil*, Oenothera Biennis (Evening Primrose) Oil*, Foeniculum Vulgare (Fennel) Fruit Extract*, Hamamelis Virginiana (Witch Hazel) Leaf Extract*, Dipotassium Glycyrrhizate, Xanthan Gum, Hydrogenated Lecithin, Silver (CI 77820), Hydrogenated Palm Glycerides, Tocopherol, Brassica Campestris (Rapeseed) Sterols, Helianthus Annuus (Sunflower) Seed Oil*, Ascorbyl Palmitate. 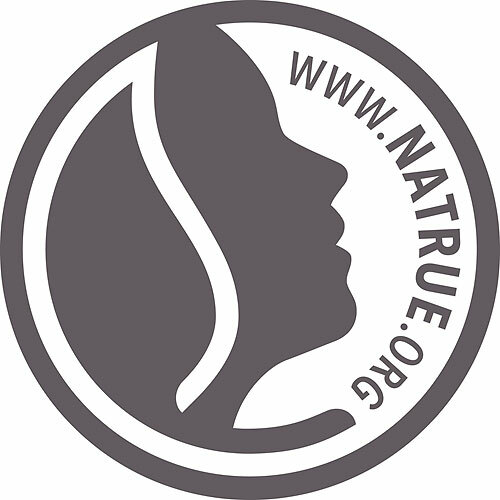 If necessary, apply several times daily to the cleansed, affected skin. Especially suitable for sensitive skin. 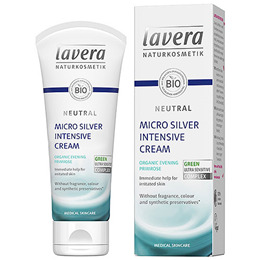 Below are reviews of lavera Neutral Intensive Cream With Micro Silver - 75ml by bodykind customers. If you have tried this product we'd love to hear what you think so please leave a review.